The summer holidays are well and truly here and over the next few weeks many of you will no doubt be jetting off to lovely sunny places for a week of relaxation. This post is one for the mummies among you who have little ones going with you. 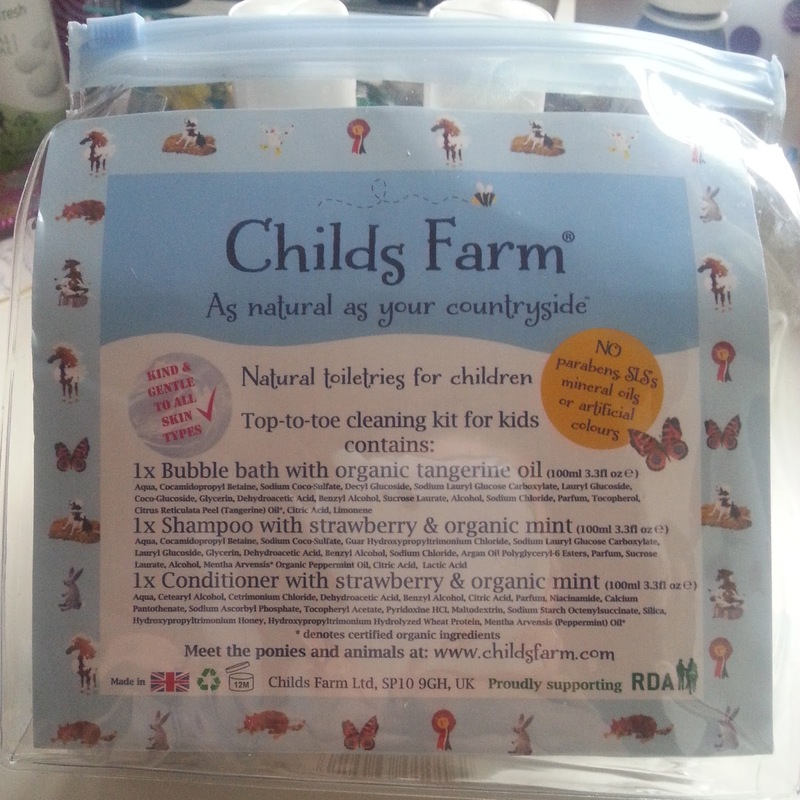 Childs Farm is a brand specializing in organic products that are as natural as can be and is the only childrens brand to use argan oil in their products. The Top-to-Toe Kit (*) is a very sweet little set that contains the signature products from the brand including the shampoo for luscious locks, conditioner for unruly hair and bubble bath for sweet dreams all of which are in lovely bright packaging that kids will love but is also conveniently 100ml's so suitable to take as hand luggage on a plane. The clear zip lock bag also means you can just throw it into a suitcase as it is with no worry about transferring into a different bag! 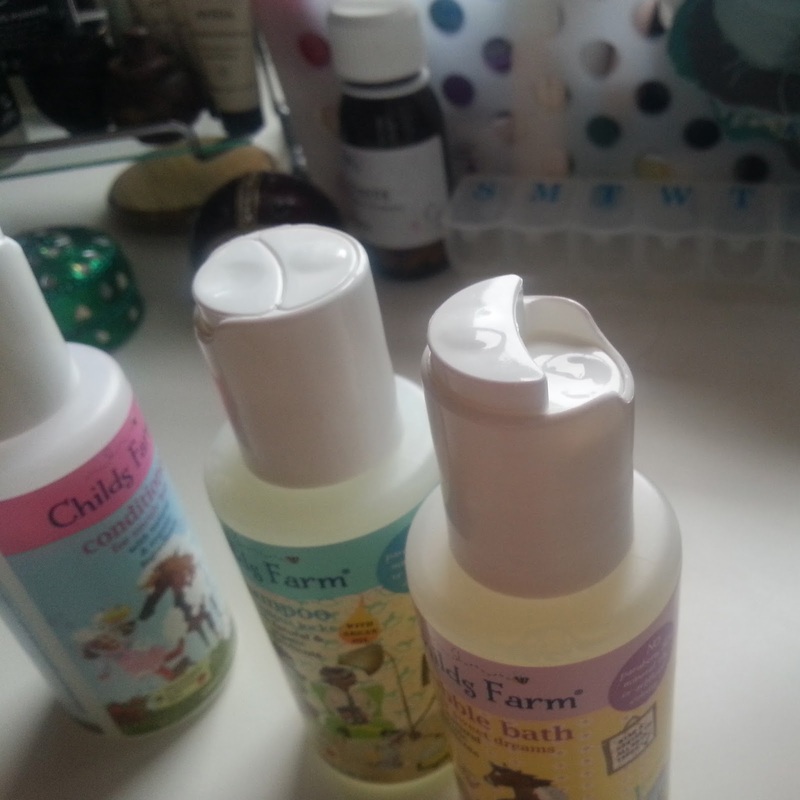 The bottles have well designed, easy to dispense caps that are easy for both grown up and little hands to open and close and the design means that they won't flip open in a suitcase and make everything else in the luggage all soapy. The only thing that surprised me slightly with the design of the kit is that the bubble bath has the same design which means its not the quickest way to get lots of bubbles quickly! As you'd expect from Childs Farm, all of the ingredients are soft and gentle on all skin types. The formula is also paraben, SLS and mineral oil free and uses no artificial colouring. One thing that does bug me is that despite all of these great claims, the products cannot be classed as vegetarian due to the addition of glycerin which readers of my blog will know is a real niggle of mine (why would a company not make such a simple change in order to open their product up to so many more people?!) especially with companies who go out of their way to make sure their ingredients are high quality, and in this case, organic. They also support the RDA which is a charity helping disabled children learn how to ride and look after horses. Another payday passing means another little shopping trip for Annie! Shopping is definitely more fun if you've been waiting all month before treating yourself to a mini splurge. This month I've been fairly well behaved and not bought too much (being strict with myself may be starting to pay off?!?) but I do love the things I have bought. My first stop off was to a gorgeous little boutique that I've actually not been into before called Traffic People where I picked up the earrings in the photo above and the necklace in the photo below. My friend and I actually stumbled upon the store on our way to get sushi but I'm so glad we did, it's a little gem full of pretty things (@Trafficppl on twitter if you want to find them and say hi!) 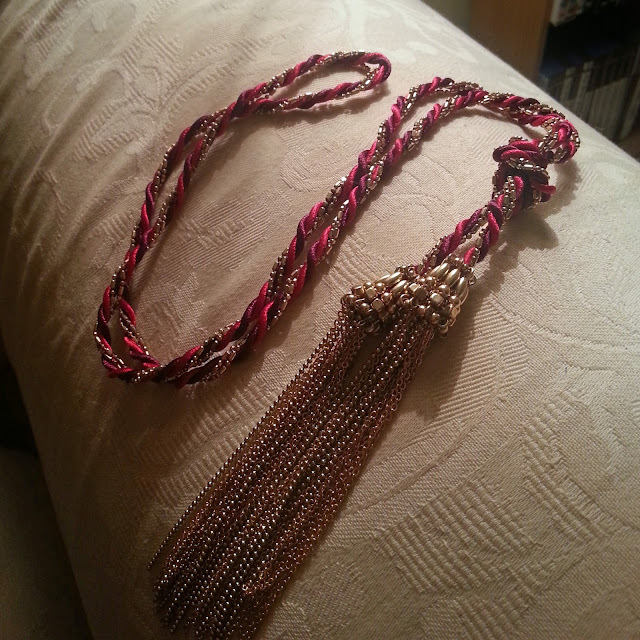 As well as selling pretty, unique styles of jewellery they also sell pretty dresses and accessories. New favourite shop for sure! I paid £10 each for the earrings and necklace which I'm happy with. 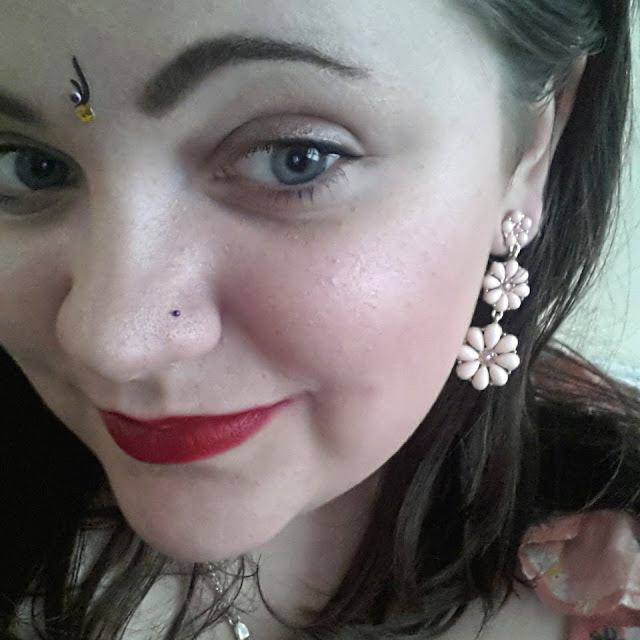 I liked the earrings so much that I actually wore them straight away and the necklace has been worn today so I'm thinking cost per wear is going to make both items pretty fab value for money. Next we called into Lush where I picked up a couple of bits that I was running out of. 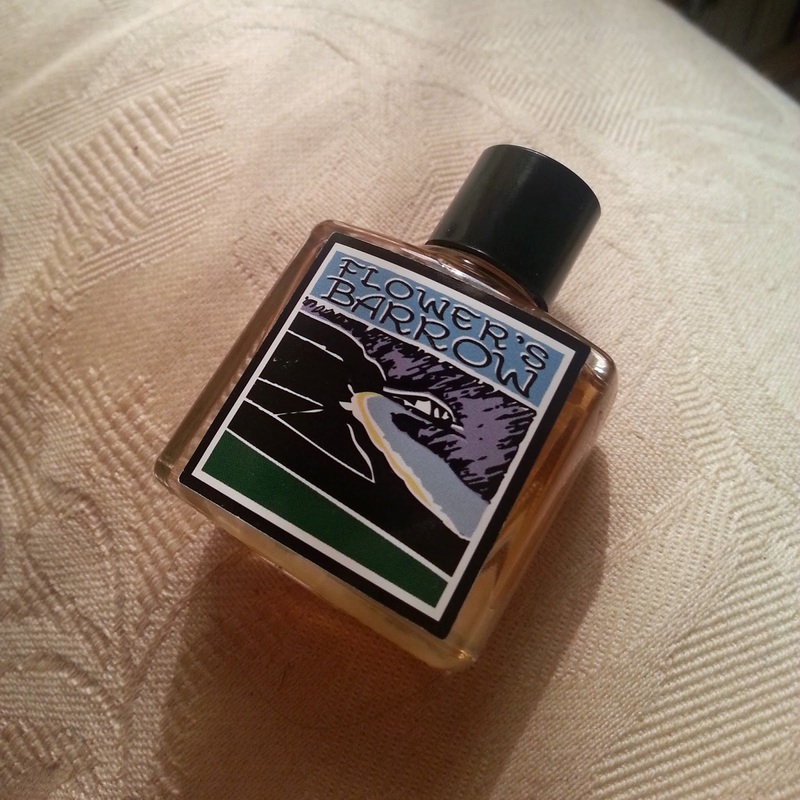 I also finally grabbed a small bottle of Flowers Barrow which is from the Gorilla Perfume range and is a quintessentially English scent built up of rose, geranium, blackcurrant, chamomile as well as a blend of herbs. What I love about Lush perfume is that the high concentration of essential oils in the blend mean that the perfume sits uniquely on each persons skin and smells different to on everyone else so its like wearing my own special scent. The size I bought retails for £14. 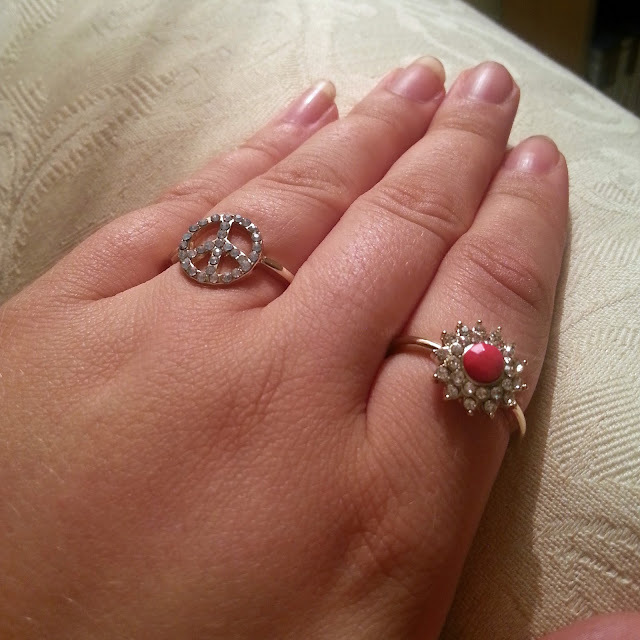 On down to Accessorize where I picked up these two sweet little rings in the sale for just £3 for the two. It was the peace ring that drew me in because although it doesn't show from the photo, the stones are actually a pretty milky white and glow almost like opals do. Pretty! Our final stop was Urban Outfitters. 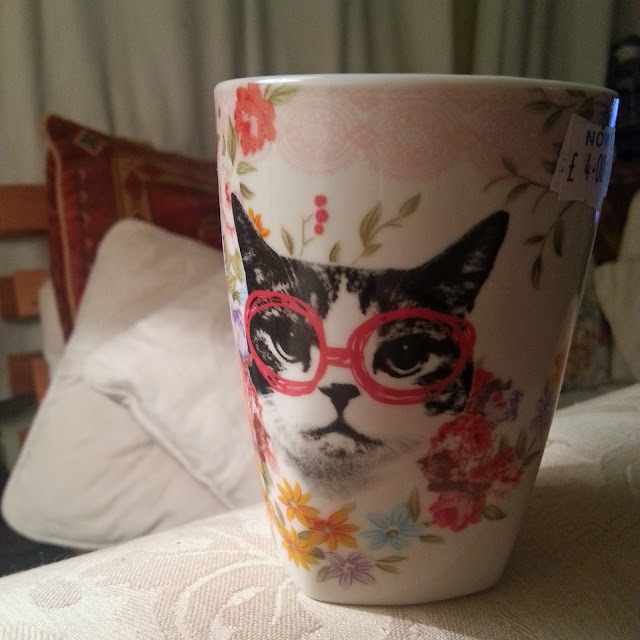 I have wanted this cat cup for months now and just couldn't justify it for anything but when I saw that it was in the sale for £4 I had to bring it home. 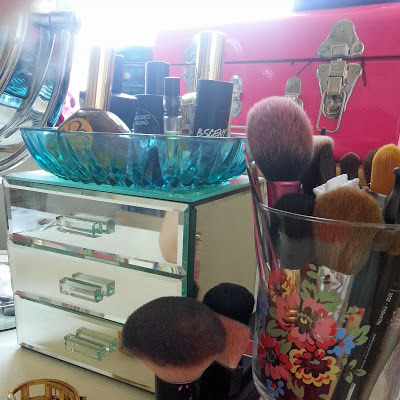 I'm actually using it to store my shorter makeup brushes because the large Cath Kidston vase I bought last month in the sale is fairly tall and some of the brushes had been lost in the depths. £4 well spent I feel! So that is this months little haul. I think I was fairly restrained to be honest. I did also spend £6 on a pair of shoes from Asda but I forgot to take a photo of those, oops! What have you been buying with this months wages? Anything fun? 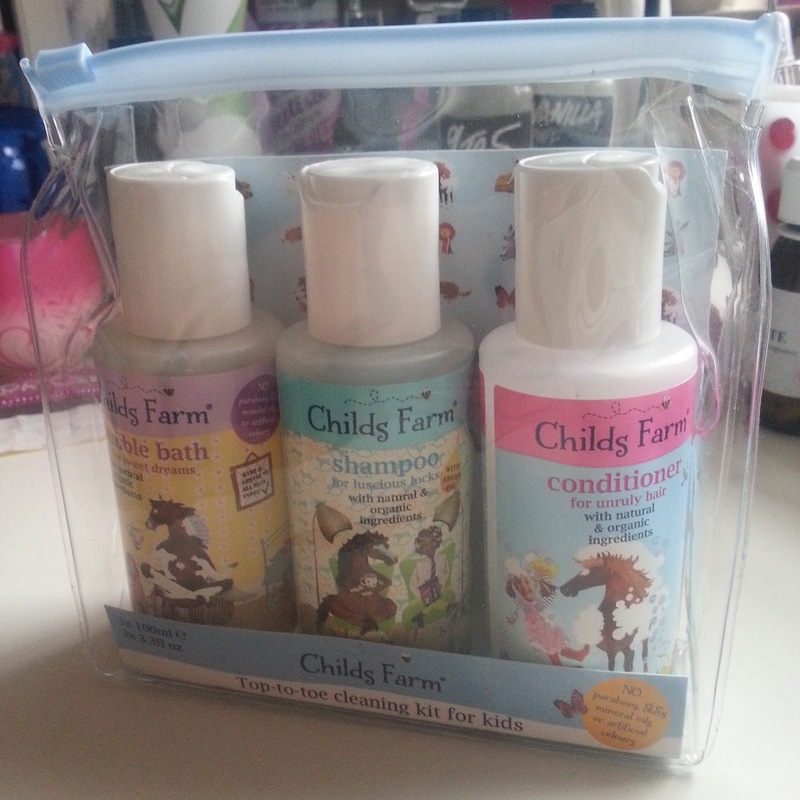 Tomorrows post is one for my mummy followers, the perfect little holiday kit for young ones so be sure to take a look! Oh my goodness it's been hot here! Living in the south west we've been getting the hottest of hot weather and boy it makes makeup choices tricky. I'm really not used to having my makeup slide off my face in the UK but some products just haven't been able to hack it! 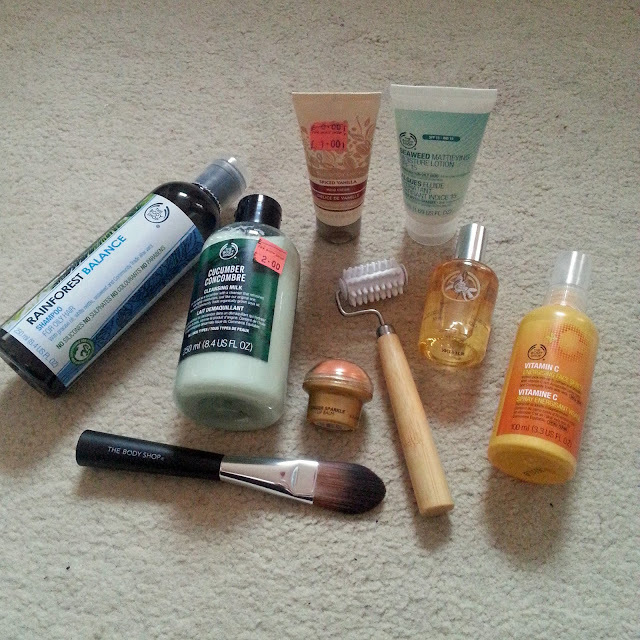 With a little experimentation though I've found these products to all be fab, even in the heat and beating sun. Ginvera Green Tea BB Cream- Foundation has been the biggest problem in the heat because most have just made my skin feel clogged or have just slid off but the Ginvera BB cream has held its own. I've been using it because of the good coverage, SPF 30 (definitely essential right now) and because, being from Singapore, the formula is able to stand up to heat and humidity. MAC Coppertone Blusher- I use this as a bronzer rather than a blush and just use little to contour cheeks and add definition but the colour is gorgeous in the sun and I find MAC powders are the best for being long lasting but weightless on the skin. MAC Lightscapade Skin Finish- This is a product that I've loved since purchasing but as someone whos a little hooked on highlighters, it can tend to be a little neglected. In the same way as Coppertone, the powder feels weightless on the skin but sits beautifully and lasts for hours. I use this around the outer corners of my eyes, along cheek bones and down the centre of my nose to highlight...and it also helps keep my foundation on! MAC Painterly Paint Pot- Always a staple product for me. 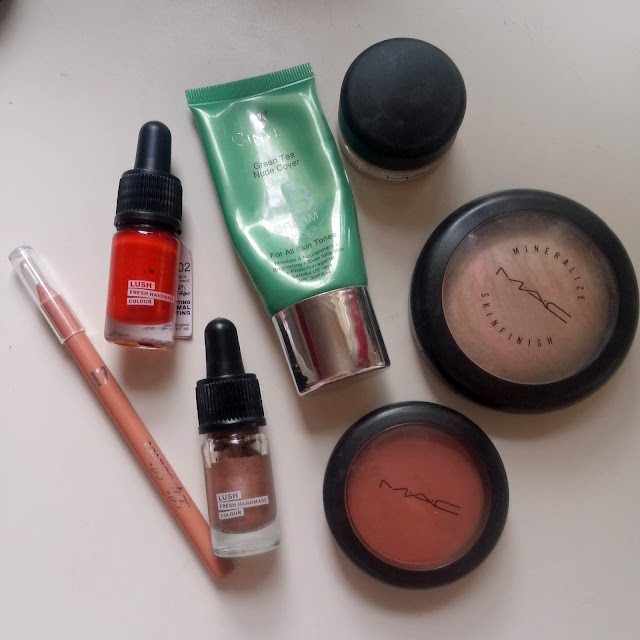 I've found that more than ever I've been needing something to keep eyeshadow sat in place and MAC paint pots are simply unbeatable, especially Painterly as it also evens out colour and conceals dark circles. Lush Sophisticated Eyeshadow- Another Emotional Brilliance colour! Sophisticated is a soft, shimmery colour that is really easy to wear and I've been loving it just with a little mascara for a quick and effortless look that stays in place. 17 Lip Liner- One final staple has been a clear, slightly illuminating lip liner that stops lipstick from feathering across my face from excess heat. This one was really cheap but works just as well as others I've tried and for me, that makes it a winner! Worn together, I think these items work really well and create a soft, fresh faced look thats easy to maintain in the heat. Have you found your makeup routine has suffered in the sun? What products have you been reaching for most? 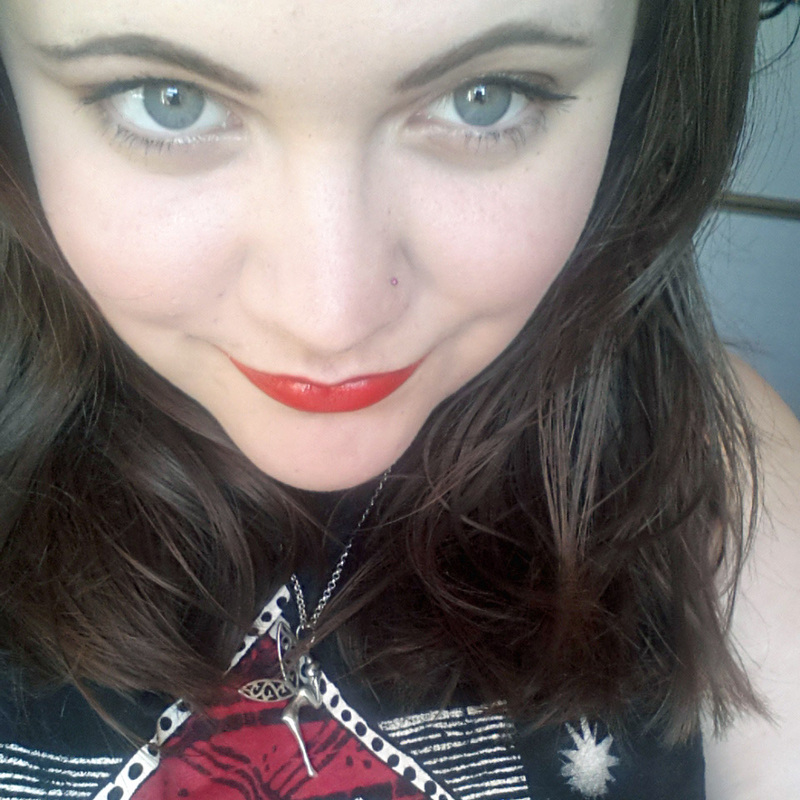 Or have you been braving a bare faced look like I wish I was brave enough to? Perfume is a real passion of mine, I find it magical how a certain smell can transport you to a different time or place and bring back memories that you didn't even know you still had. Fragrance is the one thing that bypasses the rational part of your brain and trick you into the emotional response that you associate with getting a waft of a familiar smell. Clever eh? Fragrance training at work has also heightened my love for perfumes and their makeup and its definitely something that fascinates me. My beloved perfume collection is pretty extensive and when I was approached by new website Essential Fragrances I jumped at the chance to try out a fragrance that I've heard lots about but never experienced before. 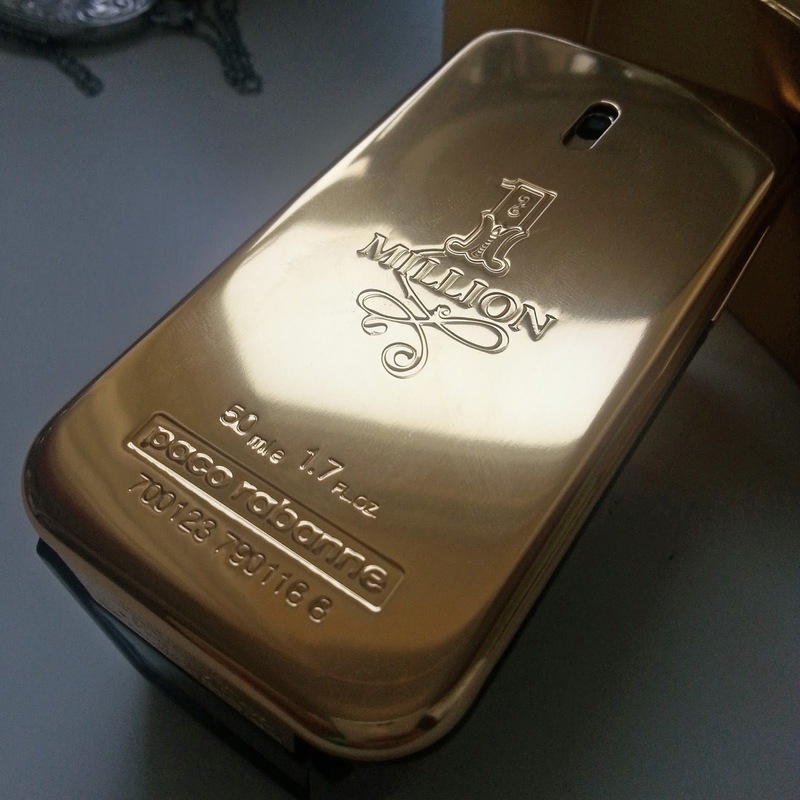 Step forward Paco Robanne 1 Million(*)! 1 Million is marketed as a fresh spicy leather fragrance and I would stand by this. It has top notes of fresh fruits and blood mandarin which quickly melt on the skin into warm heart notes of musk and rose. These lovely warm smells are then held to the skin using base notes of warm leather and amber and settle together into a warm but fairly sweet oriental group scent ( my favourite!). One of the things that I've loved the most about this fragrance is just how long lasting the scent is. It settles quickly and becomes a signature smell almost instantly and stays smelling the same day long and well into the evening. Whilst marketed as a male fragrance and I definitely wouldn't complain if I had a boyfriend who smelt as lovely as 1 Million, I think that the sweet tones to the fragrance make it a very wearable as a female scent too, especially if you aren't into the typical floral scents that are marketed for women. The packaging itself is fairly masculine; a gold ingot shape with a thick glass back to it and its definitely very striking. 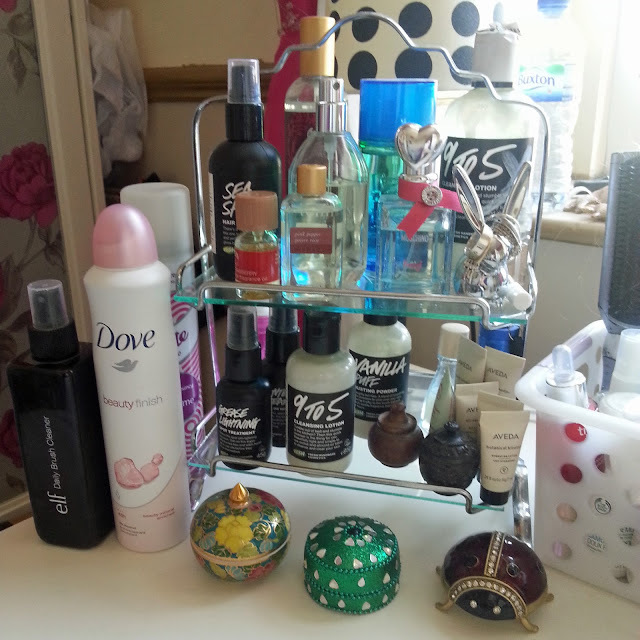 The one thing I have noticed though is that the bottle is fairly heavy which I think is from the bulkiness of it but when a fragrance is sat on a dressing table this isn't a problem. 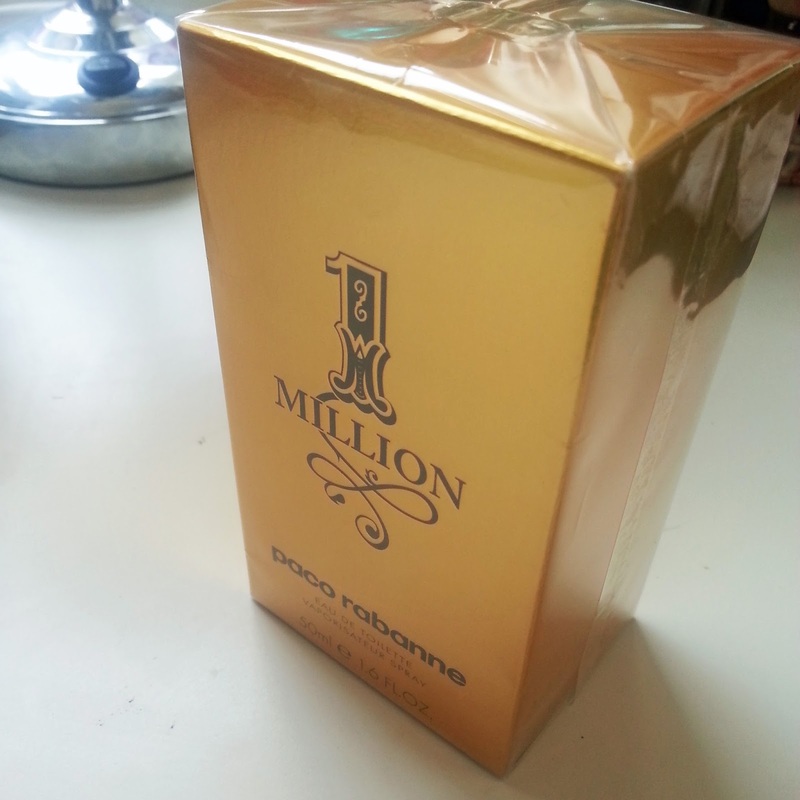 Have you ever had a sniff of 1 Million? What do you think? What sort of smells do you usually go for? It's summertime, which definitely means its sunglasses season! Nobody wants their eyes watering up, brightness causing headaches, or the sun's glare blinding them. 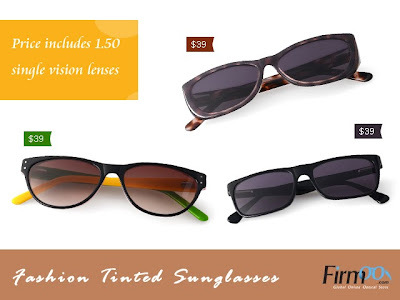 Picking up a pair of prescription sunglasses at Firmoo.com is a great way to get a sweet summer look without having to forgo perfect vision. Although supposed new versions of frames and lenses come out in sunglasses every year, tinted prescription sunglasses are really becoming a trend as people realise they can look just as stylish. Moreover, you can find new arrivals in July and excitingly get your First pair for free here as well. 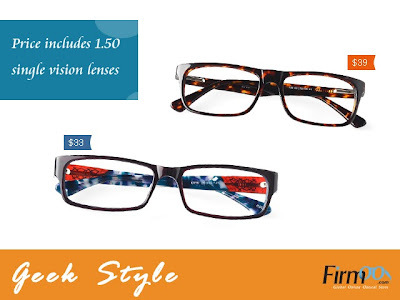 New Customers, check more products for your first free pair at Firmoo! You just need to pay shipping which is a great deal in my mind. Totally a savvy way to look good for less this summer. 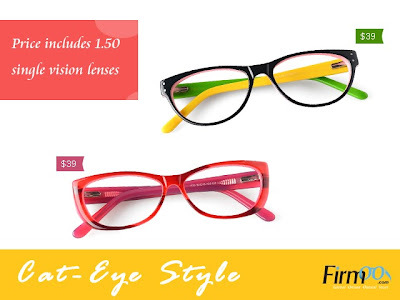 So what do you think of the look of Firmoo eyewear? Will you be checking out the gorgeous summer collections? 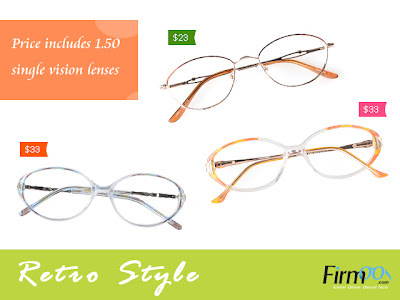 Have you ordered with Firmoo before? (*) This is a sponsored post however I will only post about brands that I genuinely like and think you guys should know about. Finally I've pulled myself together and uploaded the photos for this review. 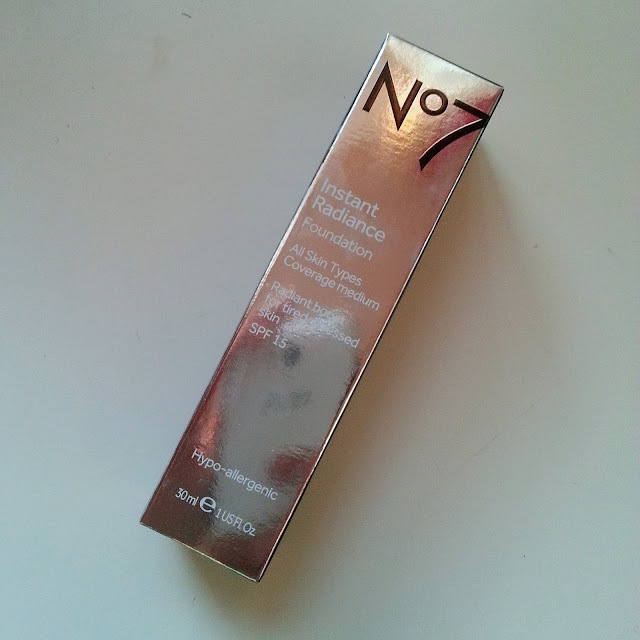 I bought the No 7 Instant Radiance Foundation at the end of June when I got paid and have been loving it since. This foundation is marketed as being a medium coverage foundation that will provides a "radiant boost for tired, stressed skin" and after testing it out for the last two weeks I'd definitely be happy to agree with that claim. Whilst I try not to look as the long list of fake ingredients piled into makeup, this foundation includes a small amount of ginger root extract which is an ingredient I love for its energising and blood flow stimulating properties. The effect of this in a foundation is to brighten skin and keep it looking away and perky. The packaging is nicely designed and made using clear, lightweight plastic. The clear plastic makes it easy to know when you need to buy a new tube and is a lot lighter than the glass alternative would be. There is also a built in pump thankfully (big pet peeve of mine if there isn't one!) But one of the best things about the foundation from formula and packaging alone would have to be the inclusion of SPF which means that I can head out for the day knowing I have that protection on my face. As you can see from the photo above the coverage is nice and even with a lovely dewy finish without looking oily. I'm prone to dark circles under my eyes because I'm fairly pale skinned but this foundation does a good job to cover them and I've had compliments on how my skin looks whilst I've been out which is always a good endorsement! So what's the damage? A tube costs £12.50 which I think is pretty reasonable for a good coverage, nice finish foundation and in terms of wear I don't need to reapply during the day and still look fairly flawless at the end of the day. And being from No 7 they use their funky colour match system to make sure you get a shade as near as possible to your natural skin tone so you don't have to do the hard work of finding the right shade yourself! Yay! Have you tried this foundation? Or any other No 7 that you've really liked? 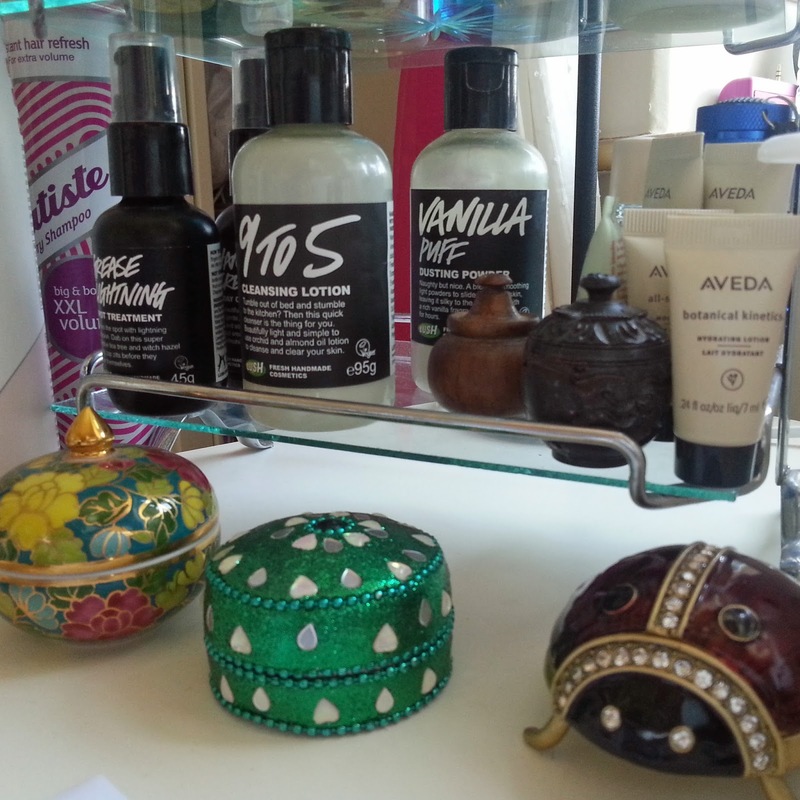 Ok, so I admit it, I was meant to post a review of the No 7 Instant Radiance Foundation today really but I just didn't fancy writing about it whilst my mind is melting from the heat so I thought I'd give you a little nosey at my happy place; my dressing table. 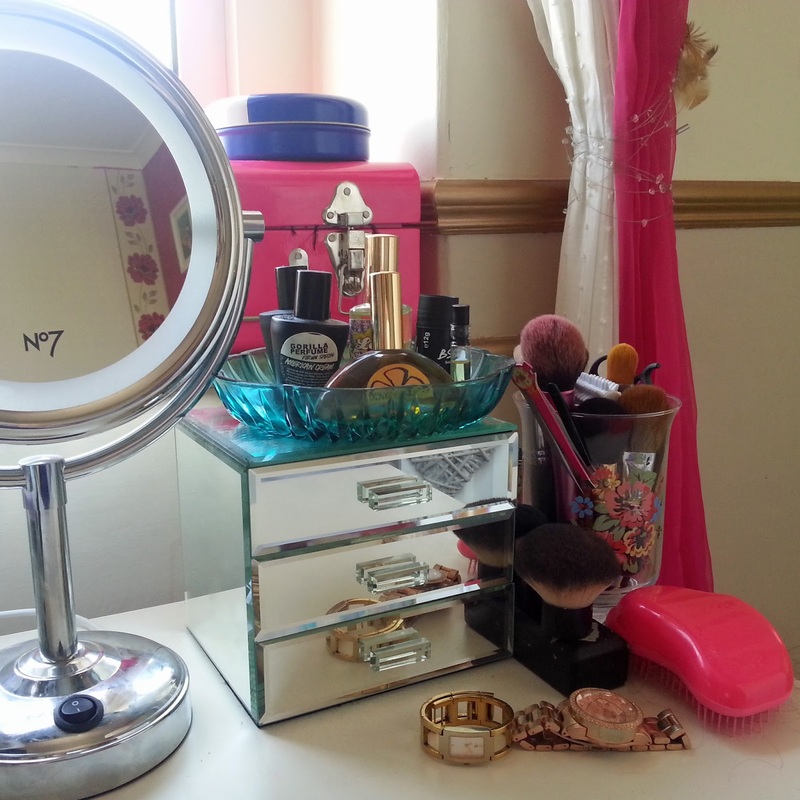 It sounds sad but I really do love my dressing table a stupid amount. It holds all of my favourite things and I've spent a lot of time getting it looking pretty and being totally functional at the same time. This stand is actually a cupcake stand that I "borrowed" from my mum that apparently belonged to my great grandma. 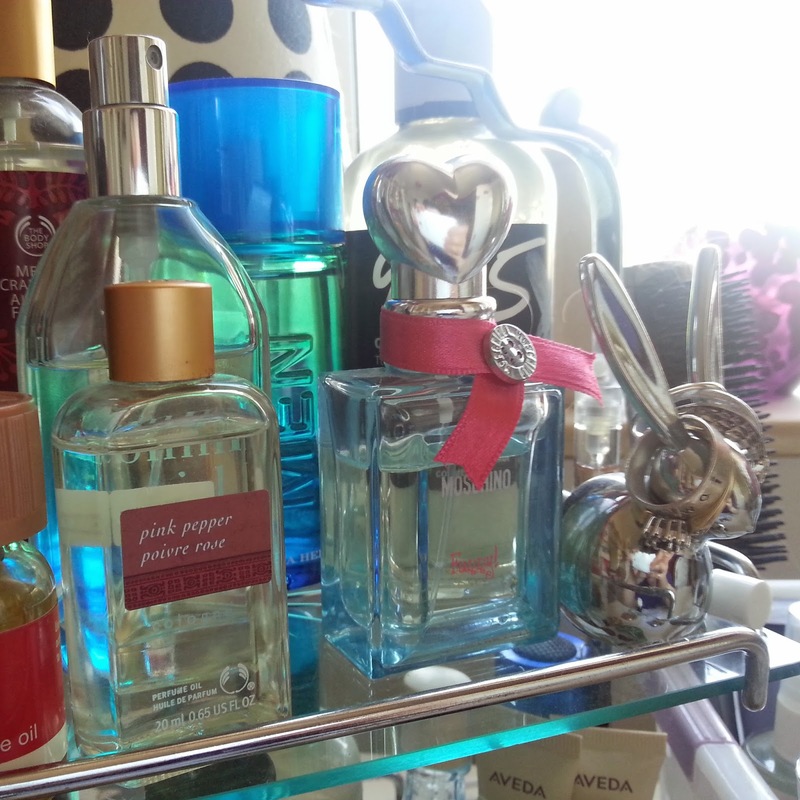 Its really pretty and delicate with glass shelves and I love how my perfumes all twinkle away sat on it. The bottom shelf is quick to grab skin care that I use every day and the two little wooden pots are rare little gems from B Never Too Busy To Be Beautiful, which is the makeup company Lush used to own, and so is the green pot at the moment. I'm a proud mummy to them haha. Moving along the desk I have my big basket of skin care and random essentials. 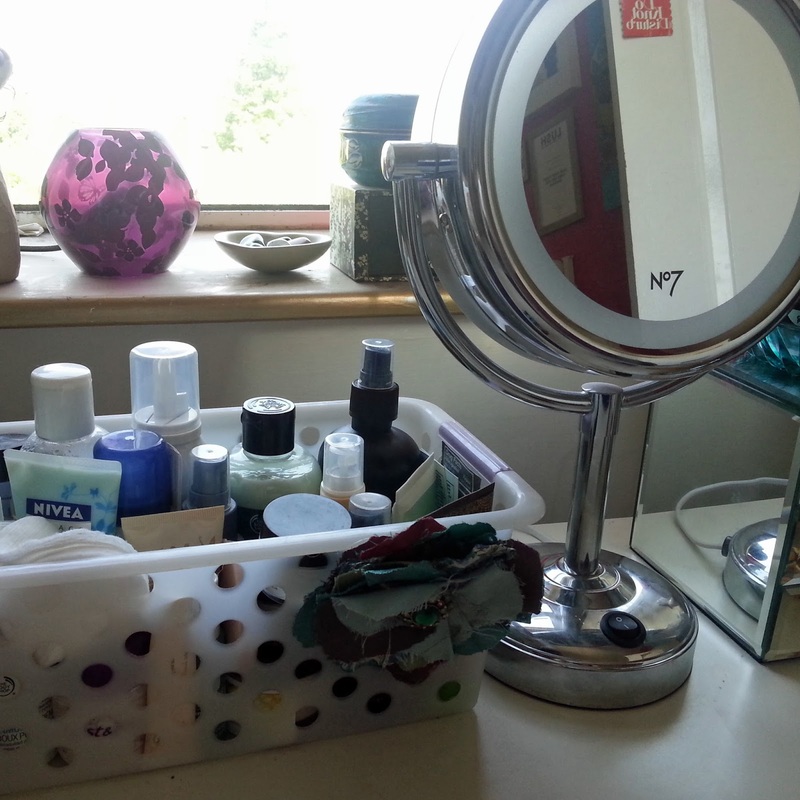 I'm a fan of open storage because its so easy to grab without having to root around in cupboards but it has to be neat and tidy which is where the basket comes in :) There's also my No 7 light up mirror. I think I may have found it! I mean my perfect non-designer foundation! 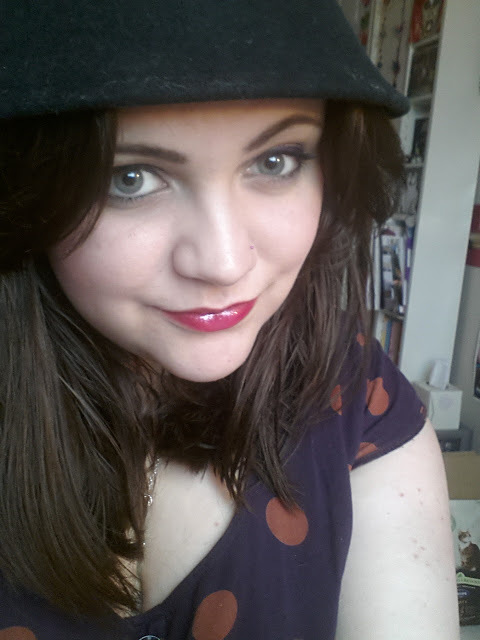 You may remember that the other day I blogged about some cheeky payday buys. 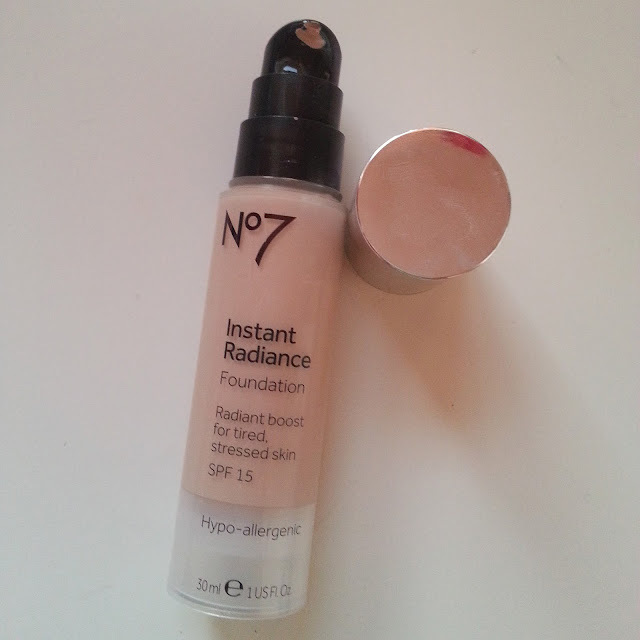 One of those was the Instant Radiance Foundation by No 7 which I picked up for £12.50, well it turns out that its really great! I admit that usually I'm a bit of a foundation snob because I think that there's no point in using high end paint on a cheapo canvas so I usually spend quite a bit to get the best base possible for my makeup but I've not liked a foundation this much since accidentally falling for the Dior BB cream so I'm more than happy...along with my bank balance! I won't say too much now because I have a full review coming up tomorrow, but for now I'll just say that the finish is light, dewy and fresh; just what I like for summer. So whats on my mug? 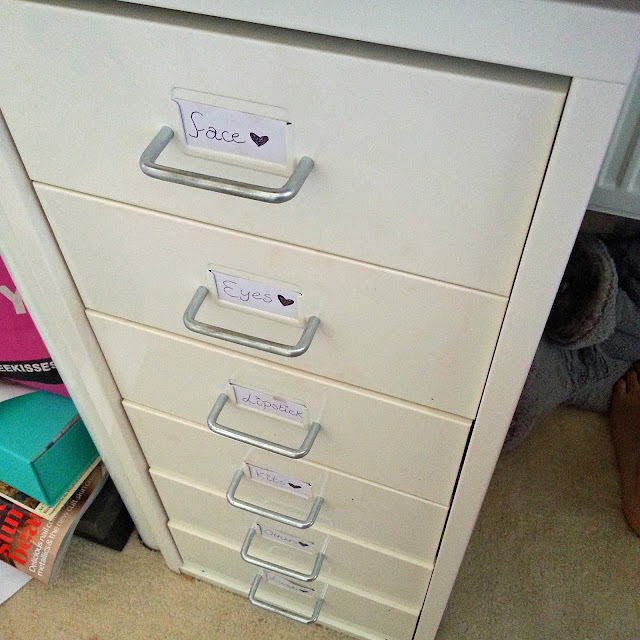 It always amazes me when I write down how many different products I use without realising. I swear it doesn't feel like it at the time. Do you find that too? Have you tried any of the No 7 foundations? What do you think? The Naughty Body Shop Haul! I'm sure you've all heard about the Body Shop 40% discount code thats been floating around lately, simply enter EXTRATREAT online or mention the code 14668 instore for 40% everything-sale items included. Of course I took full advantage and used this as a chance to stock up on all my favourites and the things I've been wanting to try. Needless to say, my basket ended up pretty full! 1. Rainforest Balance Shampoo- I've wanted to try this for a while because whilst I love Lush products I just haven't found the right shampoo for me so I thought I'd branch out and try a different range of cruelty free shampoos. This smells amazing and so far I really like it. 2. Cucumber Cleansing Milk- I grabbed this when I saw it reduced to £2 because the cucumber cleansers are known for being totally amazing. Really calming and soothing on the skin yet still effective. Well worth stocking up on. 4. Spiced Vanilla Hand Cream- I popped this Christmas range hand cream in my basket for £1 because I've previously tried the Candied Ginger one and got hooked on the smell and feel. I'm obsessed with hand cream so I've stashed it away for now whilst I finish off the L'occitane one I'm enjoying at the moment. 5. 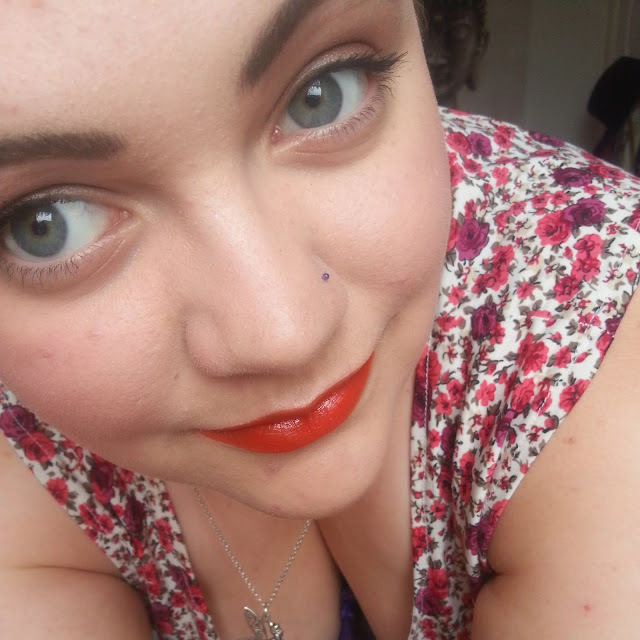 Ginger Shimmer Lip Balm- Another Christmas product found super cheap in the sale! Lip Balm is another addiction of mine and I always have at least 3 on the go. 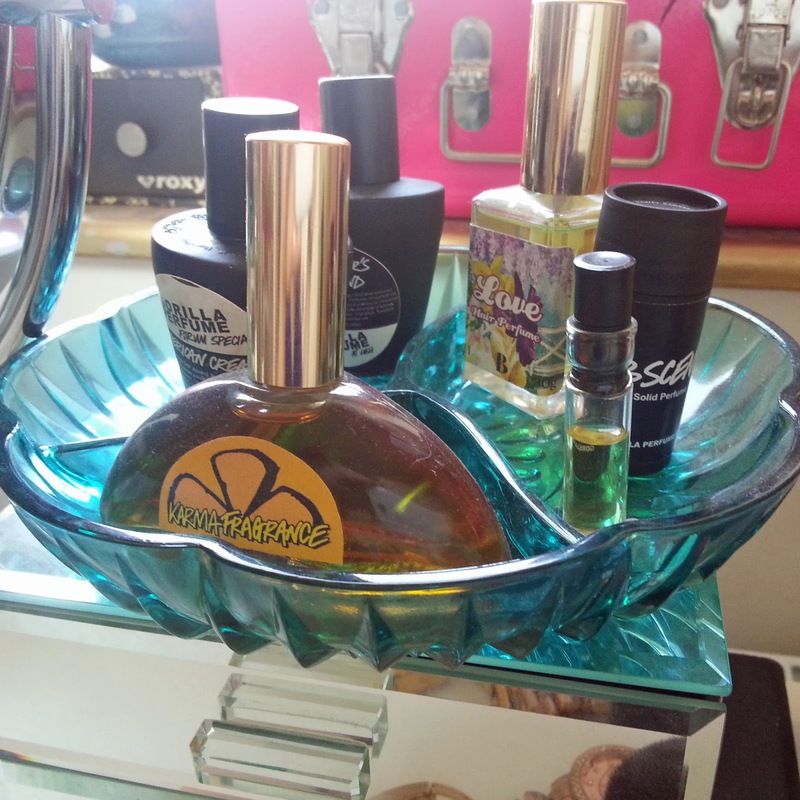 At the moment its Lush Honey Trap, Body Shop Chocomania and now this one too. The domed shape makes it really quick and easy to use and I really like how it looks too! 6. Facial Massager- Sorry Body Shop, but this is another product bought just because Lush don't make one. Facial massagers are great for stimulating blood flow around the face and really encouraging products to sink deeper into the skin maximising their effects. I use this in the evening wth my Lush Full of Grace serum bar and it feels totally amazing! 7. Seaweed Mattifying Moisture Lotion- I received a couple of sample pots of this lotion earlier in the year and haven't looked back since. I might even go as far as saying it is my perfect moisturiser. Its light, smells lovely and sinks in fast leaving skin feeling plumped, hydrated and soft without looking oily or clogging pores. 8. Vanilla Eau De Toilette- Total impulse buy here! Vanilla is one of my favourite scents. Soft, sweet and very comforting. As soon as I sniffed this it fell into my basket ready to be kept in my handbag for mid-day top ups. The scent is actually incredibly similar to the scented candles I burn constantly so maybe thats why I find it so cosy. 9. Vitamin C Energising Face Spritz- Another product I've wanted for a while. I was shown this just before going to Tenerife in February and haven't been able to get it out of my head. A quick spray every morning feeds my face and wakes me up ready to get going. The smell is also unbelievably good; zesty and fresh. Phew, word heavy post! Thats my guilty haul. I also picked up the Pomegranate Day Cream for my mum and a Love Your Body card so 11 items all together. And the over all cost? £47 unbelievable right? I was more than happy with that.